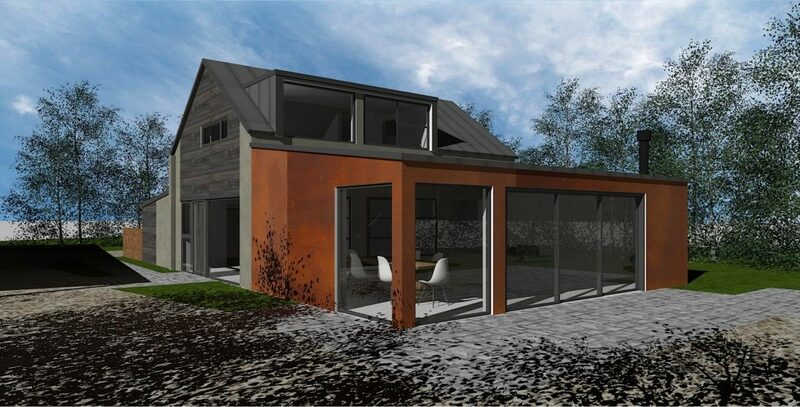 Our Specialist Projects team have been assisting a repeat client with a planning application for conversion of a redundant farm building into a holiday let within an Area of Outstanding Natural Beauty in Hampshire. The proposal will provide a 2 bed (4 person) holiday cottage via conversion of an existing structure. The design aesthetic is industrial and uses modern materials to reflect the current aesthetic of the structure, the open plan living and dining to the north of the structure also takes advantage of stunning views over the valley. A planning decision is due at the end of February 2017.